Jocelyne is an efficient and informed accounting professional, ready to help local small businesses stay on top of their accounting obligations! 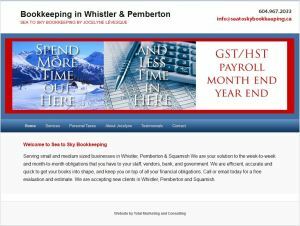 You can check out her site at http://www.seatoskybookkeeping.ca/. Like what we’ve done? It’s clean, professional, and listed on Google within days. 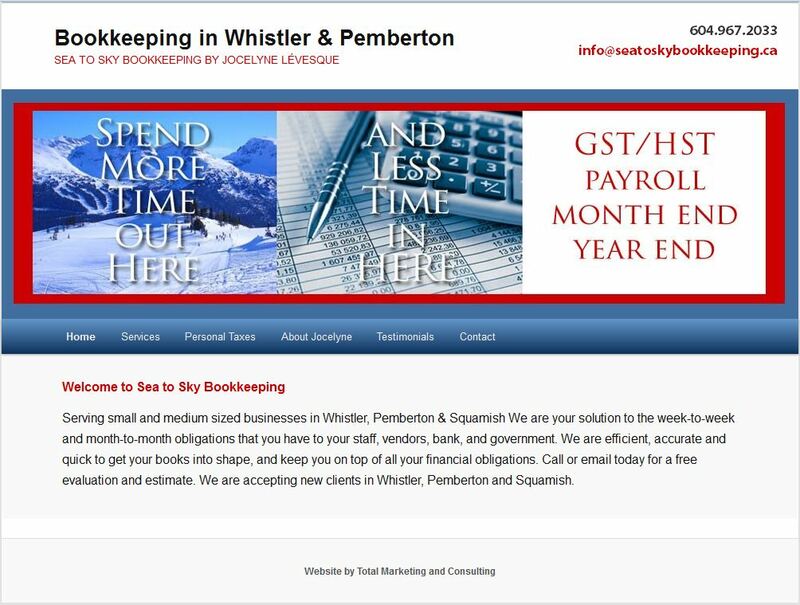 We’d be happy to quote on your Whistler small business website project – drop us a line!